This year, we celebrate School of Medicine’s 125th anniversary of educating, training and producing future leaders in education, patient care and research. We have much to celebrate–top-ranked medical and graduate programs, faculty members who are the among the worlds’ foremost experts in their fields and a reputation as a world leader in both medicine and science. It is important to reflect on our humble beginnings from the founding of our institution to its underlying principles. It all began with Baltimore entrepreneur and philanthropist, Johns Hopkins’ $7 million bequest (the largest philanthropic gift in the history of the United States at that time) to establish Johns Hopkins University and The Johns Hopkins Hospital. Recognized as the first research university in the United States, Johns Hopkins University became the model of the modern research university shifting higher education from a focus on teaching revealed and applied knowledge to scientific discovery of new knowledge. The bequest also stipulated that a school of medicine accompany the hospital. Hopkins’ vision of two institutions in which the practice of medicine would be partnered with medical research and medical education laid revolutionary groundwork in American medicine. The School of Medicine opened its doors in 1893 and was one of the first medical schools to admit women. It became America’s first co-educational, graduate-level medical school and a prototype for academic medicine that emphasized bedside learning, research projects and laboratory training. This landmark anniversary is an opportunity to recommit to our core values (Excellence & Discovery, Leadership & Integrity, Diversity & Inclusion and Respect & Collegiality) and our shared belief in the promise of medicine. The Johns Hopkins Medicine Office of Diversity and Inclusion has created a brief video for viewing and discussing with your division/department/unit. As a gesture to symbolize your commitment to the Johns Hopkins mission and core values, please sign the commemorative scroll (a replica of the letter of Johns Hopkins to the Trustees). The scroll is located in the 1830 Building, 9th Floor, Room 9019 (Tumulty Conference Room). Please sign by Thursday, May 31. 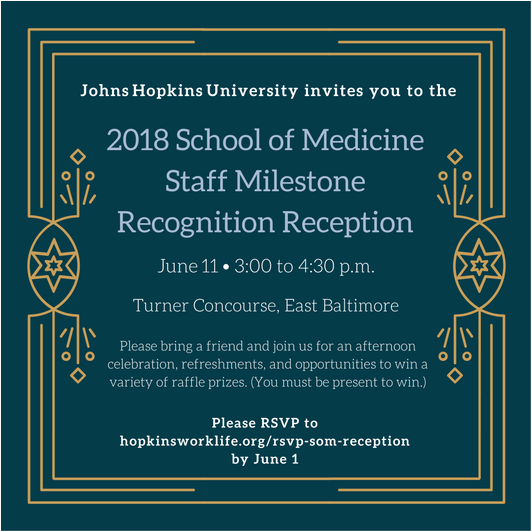 As part of the 125th anniversary, the School of Medicine has selected 125 current faculty members, fellows, postdocs, staff and students who personify Johns Hopkins Medicine's core values to be honored. Below is the list of 'Hopkins Heroes' from the Department of Medicine.